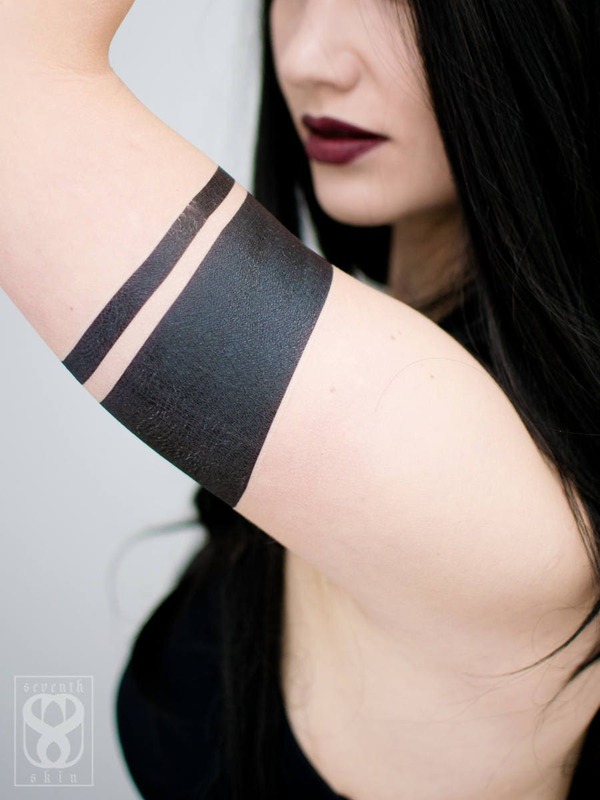 Seventh Skin exists to put beautiful art on your body that you can change, often and at will, for any aesthetic. Sometimes, a simple addition can make all the difference, adding a sophisticated edge to your look. 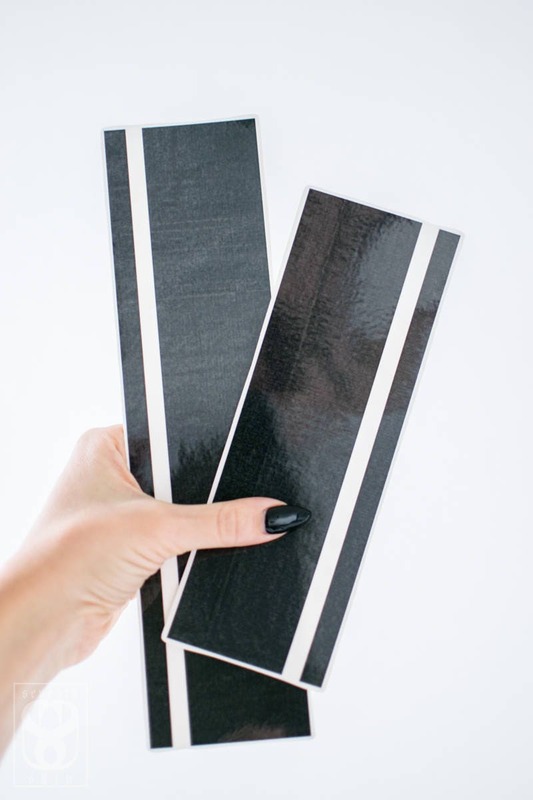 The bands are 2.25" wide, and the lines are 1 centimeter wide. 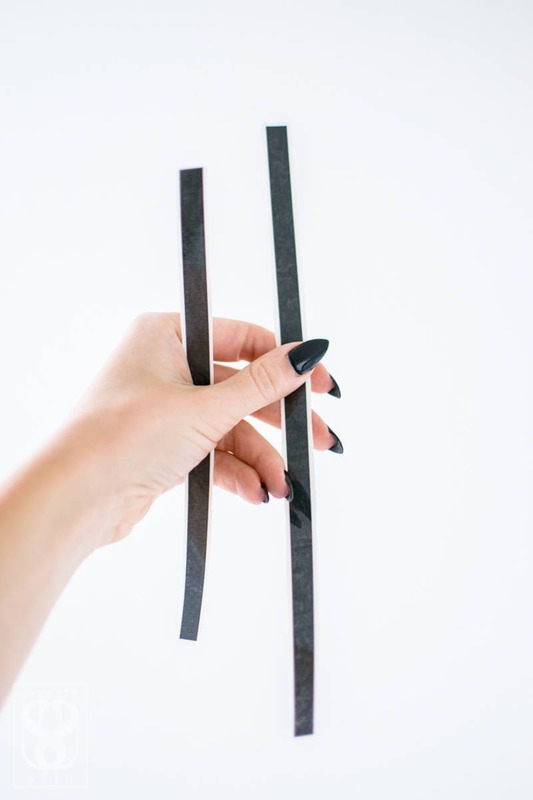 They are combined for a tattoo that is 3" wide, but you may separate them, or cut them down to whatever length and width you like before applying. I am wearing the 10.5" band + line on my upper arm, and the 8.25" band + line on my wrist. I had to cut the wrist application down to size. Our smaller designs are more fragile, and don't last as long. 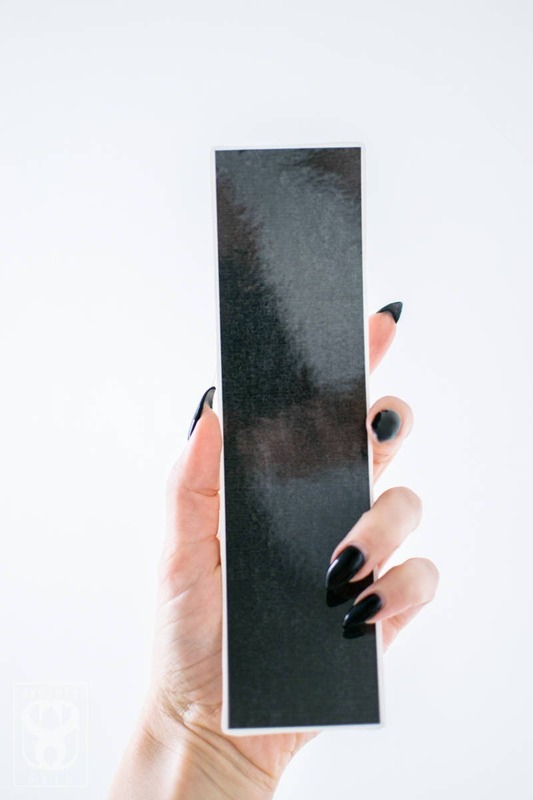 If you apply the 1cm lines, expect up to 3 days of wear, depending on the location you apply to. Bands last 3-10 days.